Duncan works at a tea shop in Wellwinter, a fantasy town in the mountains. It's very snowy there!! 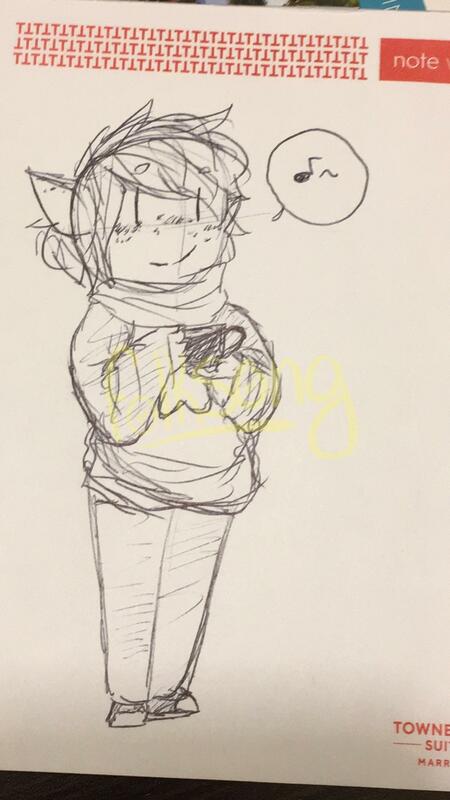 He wears sweaters always and his favorite tea is lavender mint green tea, which is a brew he created especially for the shop. He has a little bit of magic, just a couple cantrips and a spell or two. The shop he works at is called Bary's Brews, and it is run by a man known as Bary the Teamaker, a wizard with a special love for teas. Bary has a talent for heat magic, and he uses this to create a greenhouse for his tea plants.